The Rock Excavation Organization was a controversial and underground student group at Northwestern University. 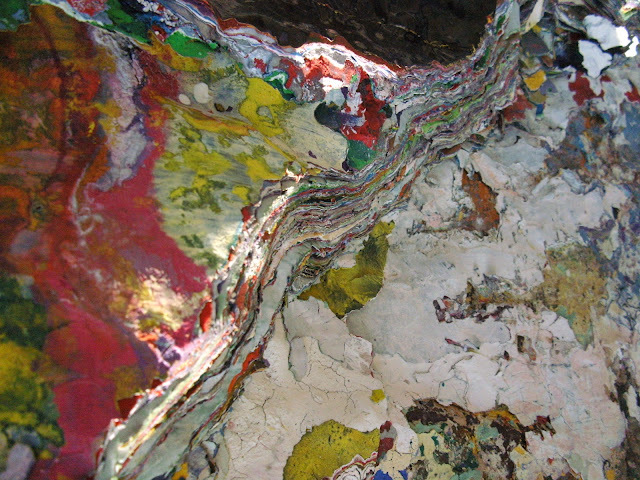 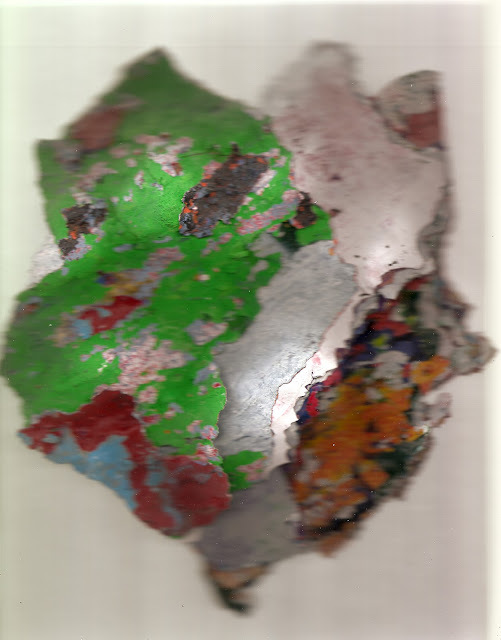 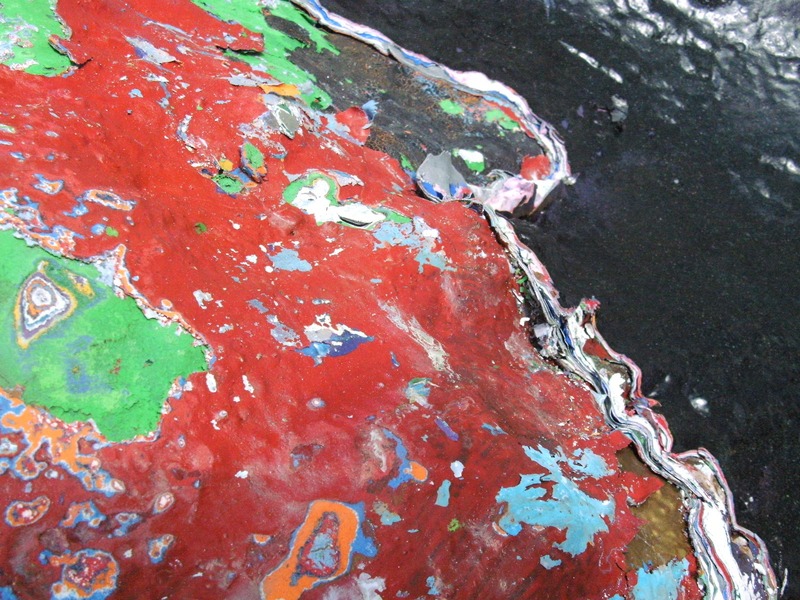 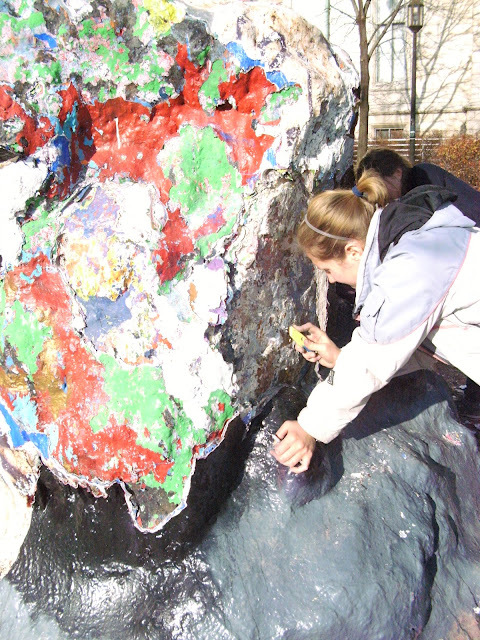 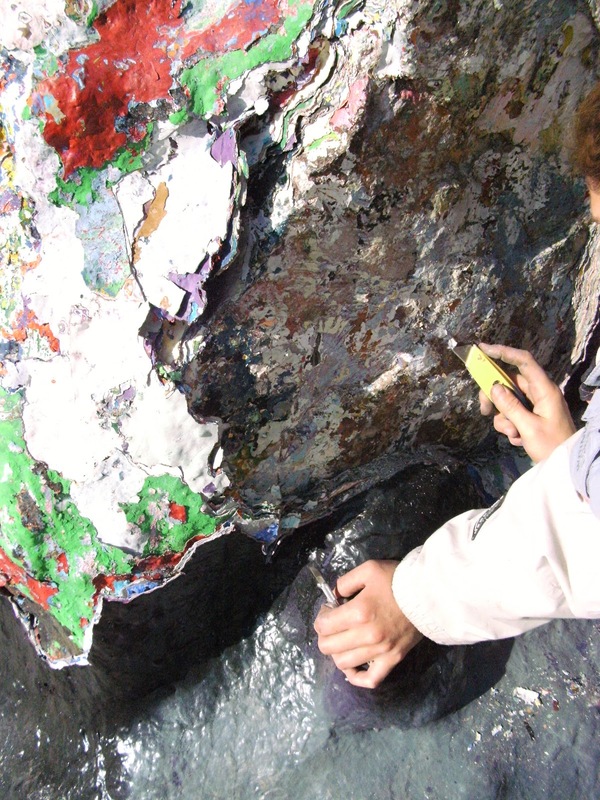 In the winter of 2009, they peeled away the layers of paint from a symbolic rock on NU's campus, hoping to liberate and, for the first time, glimpse the actual rock underneath. 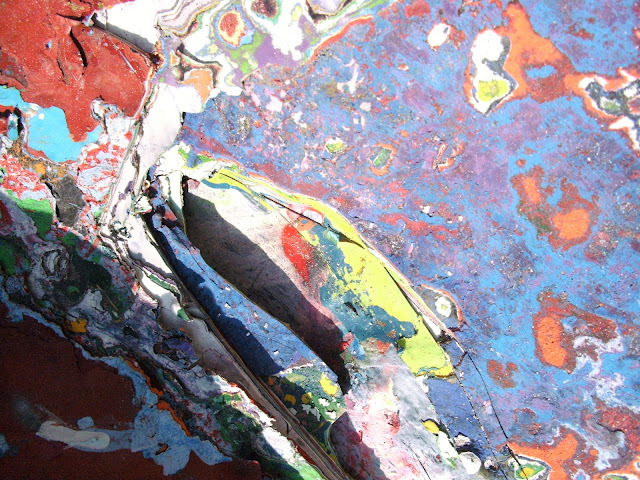 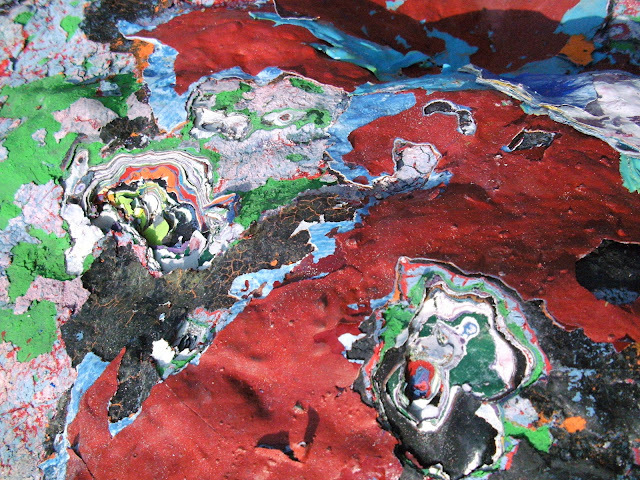 A piece of the removed paint from this excavation was taken to the University Archives' special collections, and an article was published in an online student magazine by a passer-by---http://www.northbynorthwestern.com/2009/12/61306/chipping-away-tradition/ --the student body was alerted and, in many cases, outraged. 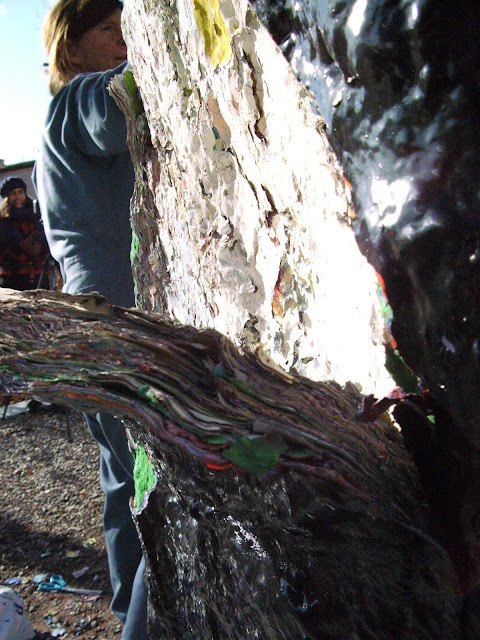 Some called for their expulsion, others suggested they be beaten up and then expelled. 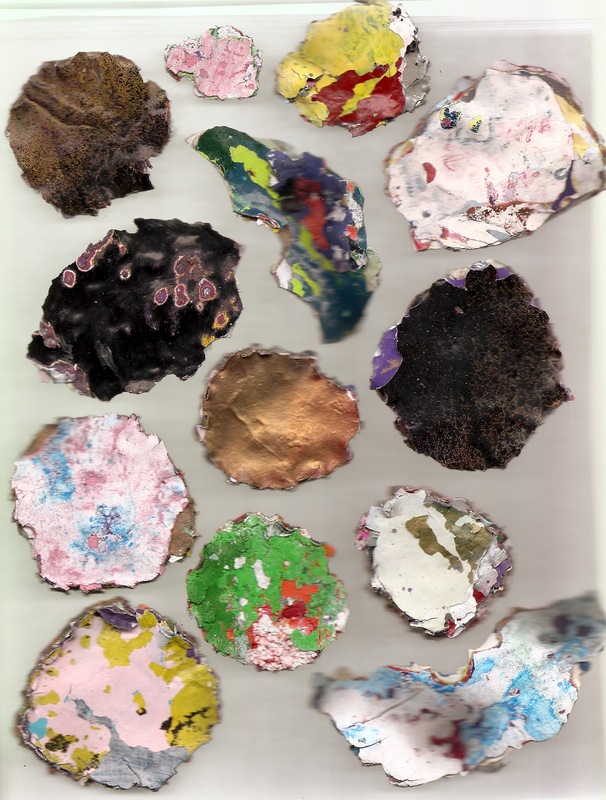 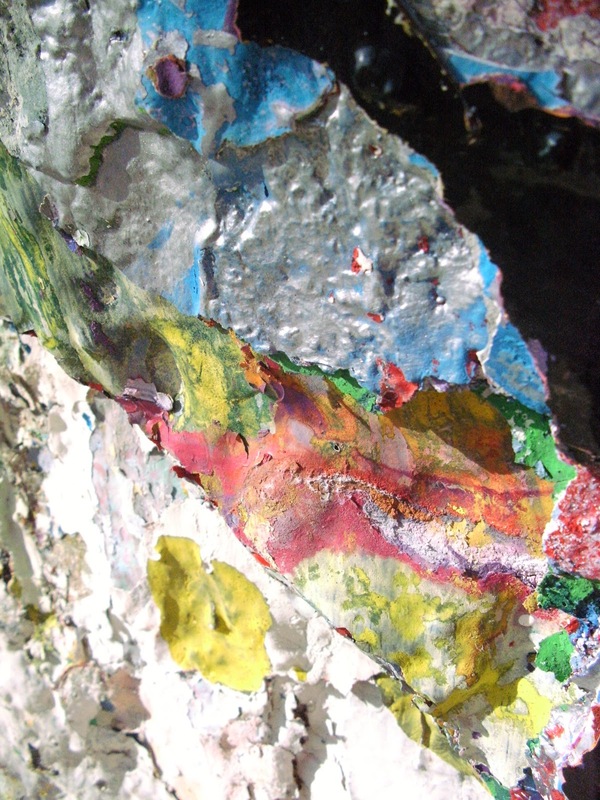 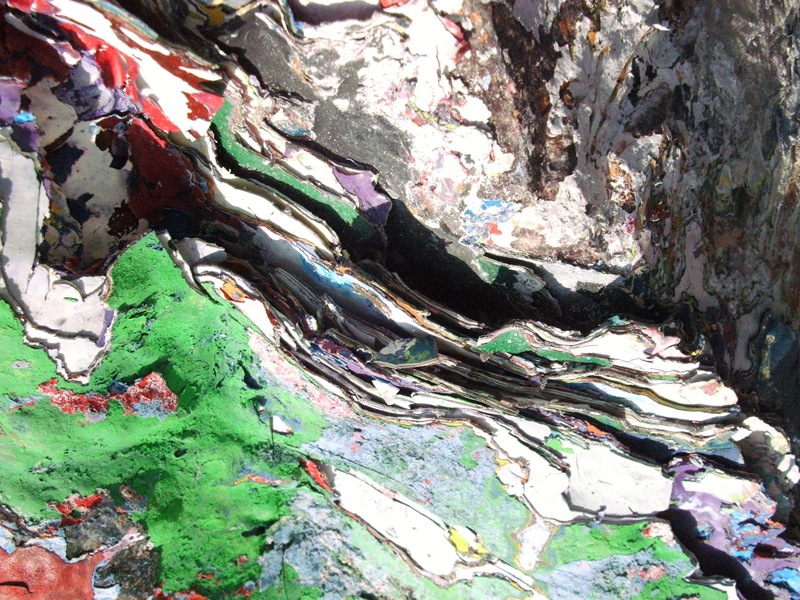 The event was later revisited when I showed the documentation of the rock's peelings, together with the comments from the article, at Northwestern's Art Department's Senior Art Show "A Whiner's Torso" in May of 2011. 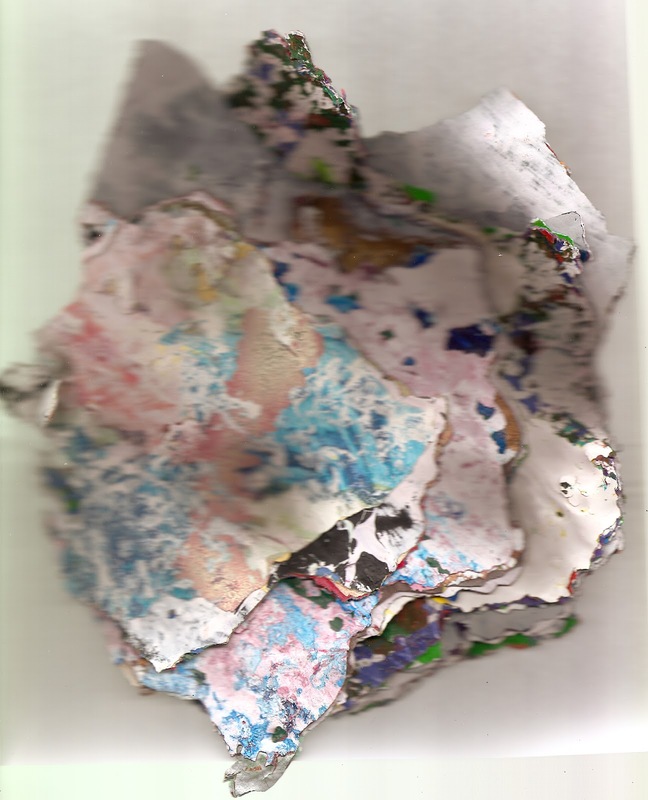 October 2018 - NU's archives still have the piece!